FERNANDINA BEACH, Fla. - The 49th Annual Isle of Eight Flags Shrimp Festival in Fernandina Beach kicked off Thursday night with its annual Pirate Parade. Locals took to the streets to watch the parade floats go by. Members from area businesses and celebrities also marched down Centre Street in Fernandina. Traditionally, on the first night of the parade, pirates swarm to the waters in Fernandina beach for a Pirate Invasion. The opening night ends with a fireworks display. The festival runs through the weekend. There are events planned each day. 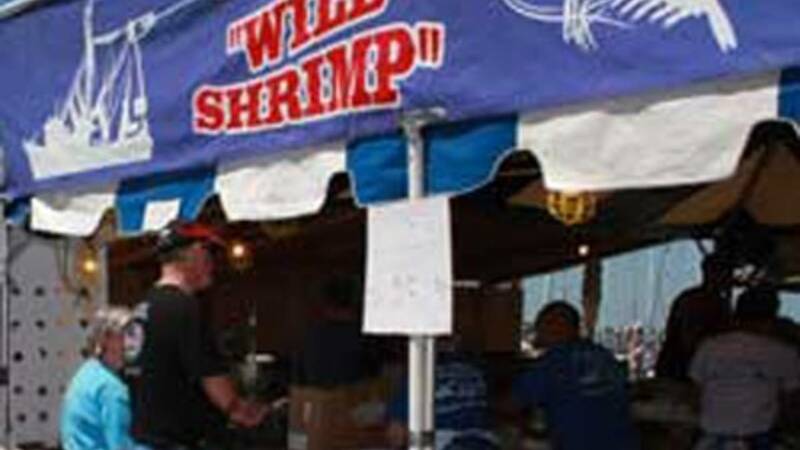 The main draw are all of the local business that will be selling different kinds of shrimp. There will also be artwork on display and various craft stands throughout the town. The Shrimp Festival also has a kids zone, including bounce houses, face paintings, and crafts. Friday night, the fun continues with the Miss Shrimp Festival pageant and the Best Beard Contest. Friday, 6 - 10:30 p.m.
Sunday, 10 a.m. - 5 p.m.